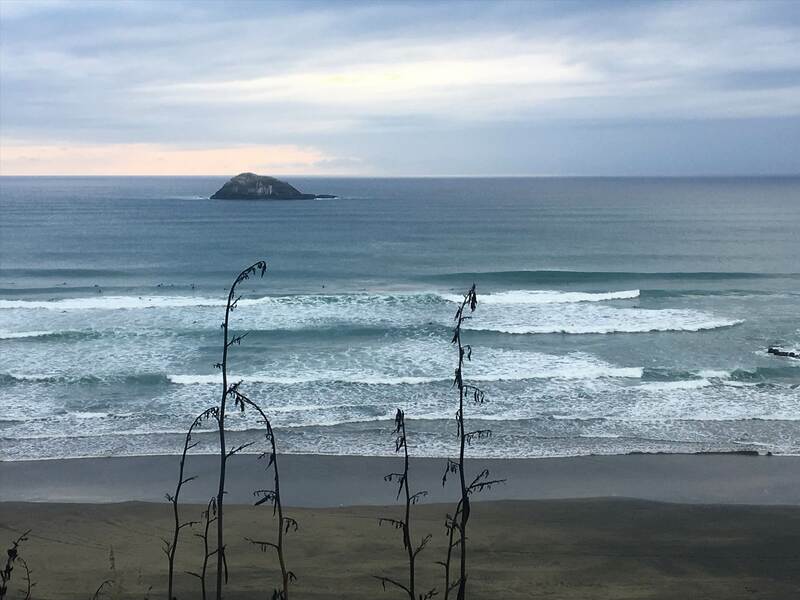 Back story is that like most of you reading this I am on the perpetual journey of trying to continually improve and develop my surfing prowess and ability and to maintain my love for the ocean and for surfing in general. Factoring into this ongoing journey over the years has been many contributing factors such as available time, family and work commitments, my individual wants and needs as a surfer, my personal competency / skills and my experience and aptitude, coupled with my age, injury history and my overall ability and or inability (Umm Beer) to maintain a level of fitness that will enable, allow and support me to do what I wish to do etc. 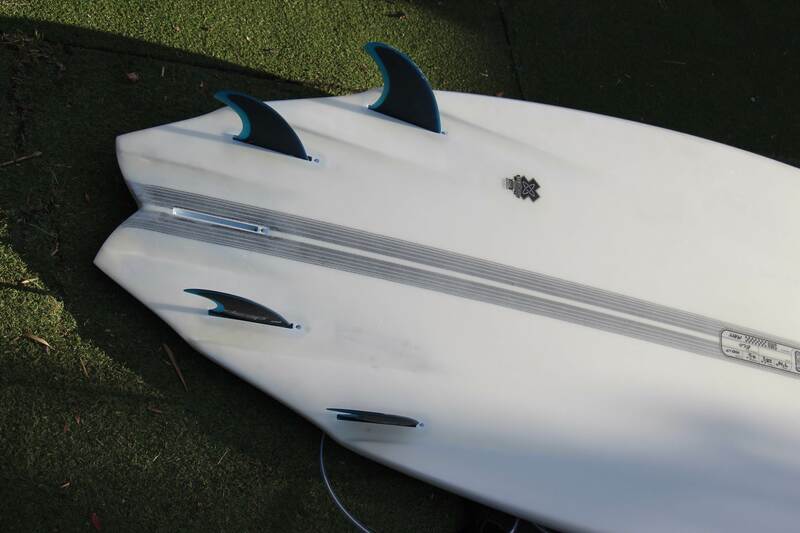 All of these factors have of course multifaceted aspects and issues that continually influence and impact upon the style and type of surfing that I can and more importantly want to achieve and therefore also upon the type and design of board that I can or cannot ride to achieve the end state that I personally want. One particular aspect of my personal surfing journey has always been a willingness to push my own boundaries and to try new board designs and concepts. I have found that this is especially relevant in the genre of SUP surfing as the sport is still relatively in its infancy and therefore open to variations of basic board design and development. As I have progressed along my own SUP journey, which began after my third spinal surgery some years ago, I have, like many of you, tried numerous brands and boards etc all of which have assisted and allowed me to progress to what I would like to believe (well in my head anyway) is an okay level of competency and prowess. This progression has also now empowered and encouraged me to where I now wish to have a greater personal say and involvement in the design and construction of my boards. Without appearing xenophobic or prejudiced in any way I also want to support locally designed, developed and manufacture products etc. 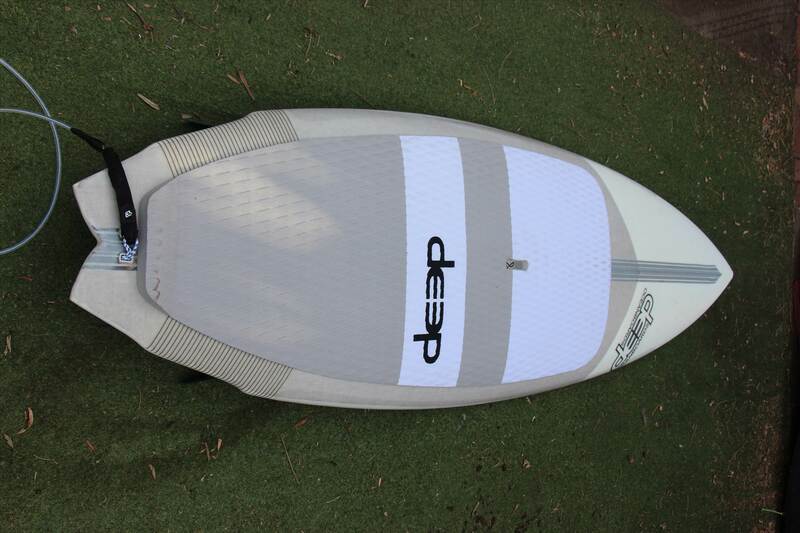 And so, for the last few years I have continued to develop a basic shaper / surfer relationship with Simon from DEEP which has led to my latest custom board. 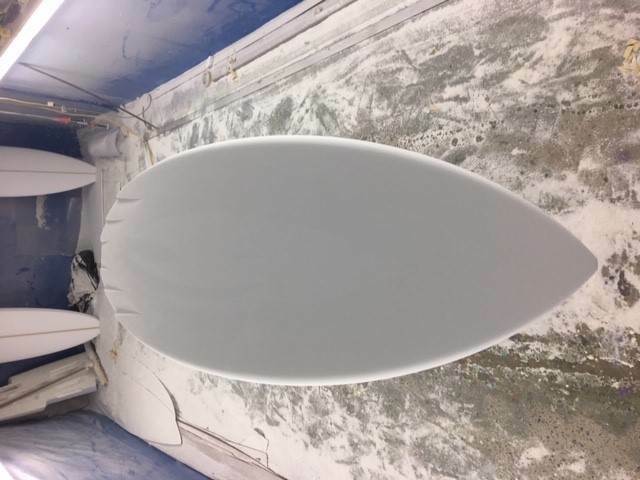 My initial brief to Simon was for a 'Hybrid' shape, under 8 foot at about 100 litres, basically a composite between my MV2 and JC custom performance boards. 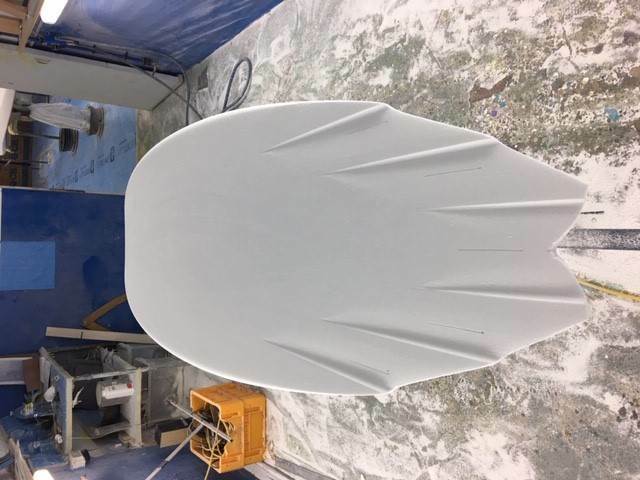 I also wanted the board to have a slightly fuller nose than the JC model with a wider outline towards the tail but really pulled in and thin with flyers to a swallow tail with 6 channels into the bottom which run out through the flyers. The idea being to have a board that gets up and goes very quickly, is super-fast with a lot of bite and drive through turns. Imagine my surprise to find that Simon has also been thinking along the same lines and in fact used to work for AB years ago and sort of knew exactly what I was after. Simon also informed me of his move towards using more sustainable materials and that DEEP had been approved into the 'Sustainable Surf Program'. Of course, I immediately agreed to test out the new construction as anything we can do to be more eco-friendly has got to be a good thing. 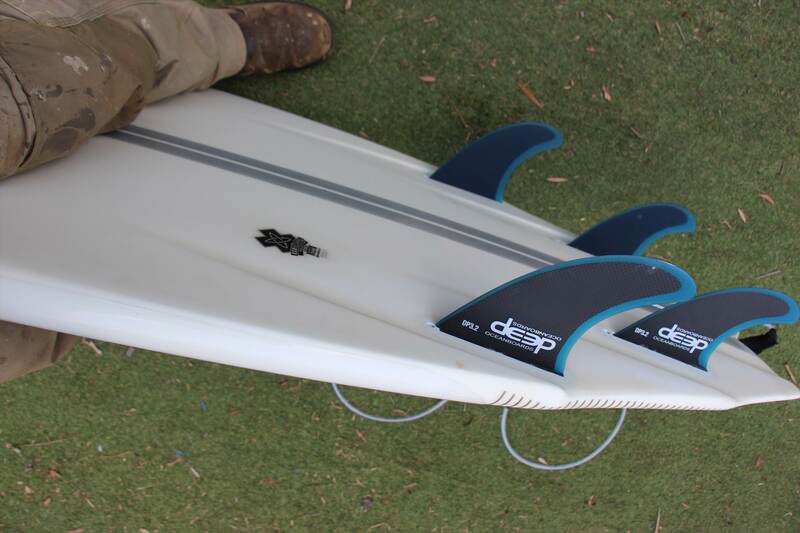 And so the end product is that my board ended up at: 7'10" x 28 1/2" x 4 1/4" with a volume of 100 litres, 5 fin futures set up and 6.5kg without grip. I guess that the million-dollar question is: how does it go? 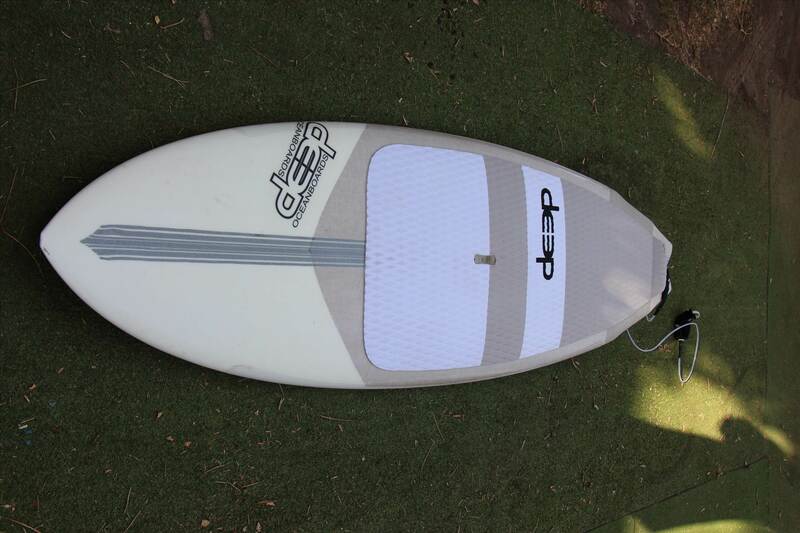 Have had the board for three months now and absolutely love it and it is the best board that I have had so far on my SUP surfing journey. 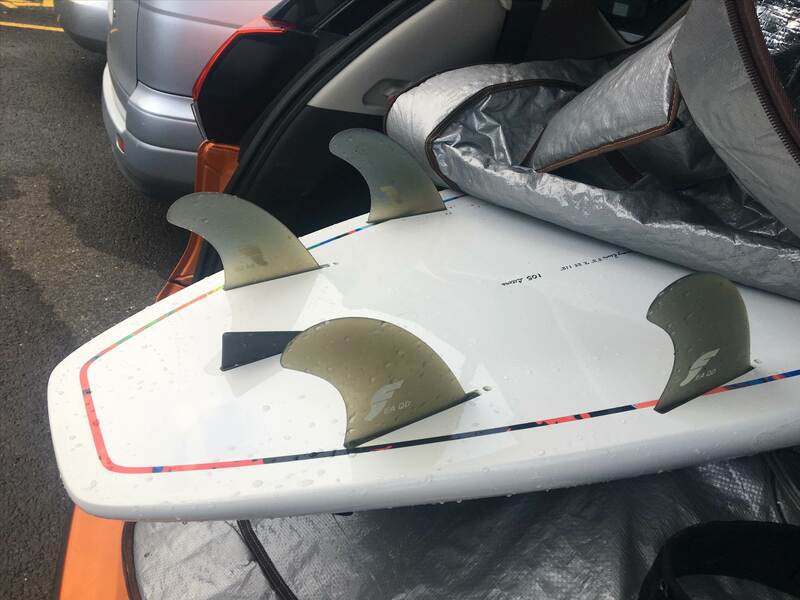 Now that said, initially I really thought that I had made a huge mistake as I felt like a real gumby my first few times out on the board and it did take some getting used too, especially driving a bottom turn in chop. But then I realised that this is what I was actually trying to achieve all along, to keep pushing my own personal envelope and after a few surfs, well damn! Now obviously channels aren't for everyone and they can prove to be rather tricky when the surf gets choppy and my board certainly took a bit of getting used to however after a bit of trial and error, we are now 'generally' dialled in. 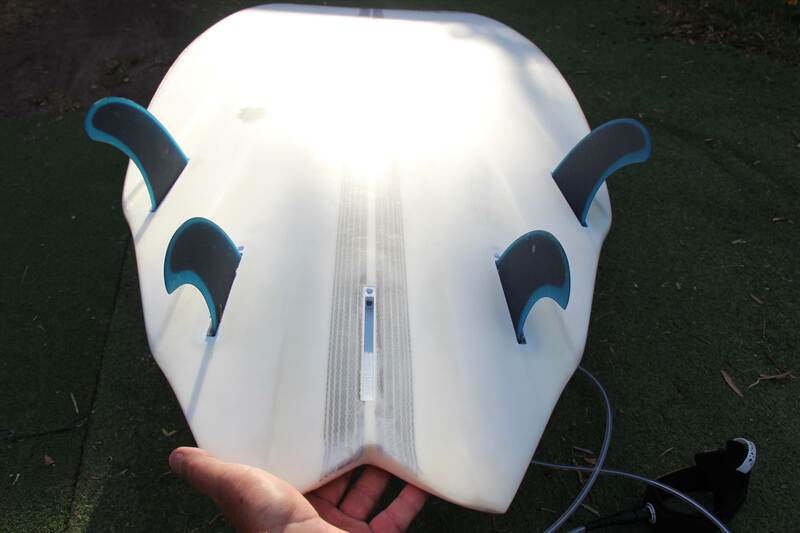 Where this board really shines is in 2 to 8 foot clean to cleanish down the line waves. She is so fast that initially I felt a bit like a gumby again (loved it) but once we got used to each other, wow, and once you get her on the tail, damn she just loves to throw a turn. I have tried her both as a thruster and lately as a quad and this week will also be using a nubster to see how that affects her overall performance etc. I think that I prefer the quad setup as love the speed but it is early day as yet. We are off for our annual Father/Son surf trip to Indo in June so am very much looking to getting her in some clean reef waves. As for durability, to date we have had no issues what so ever and she has been out in some Vicco juice and passed with flying colours. I guess that it could be argued that spending $1800 bucks on something that was unproven and untested and which could have turned out to be a real lemon might be construed by some as being rather silly. 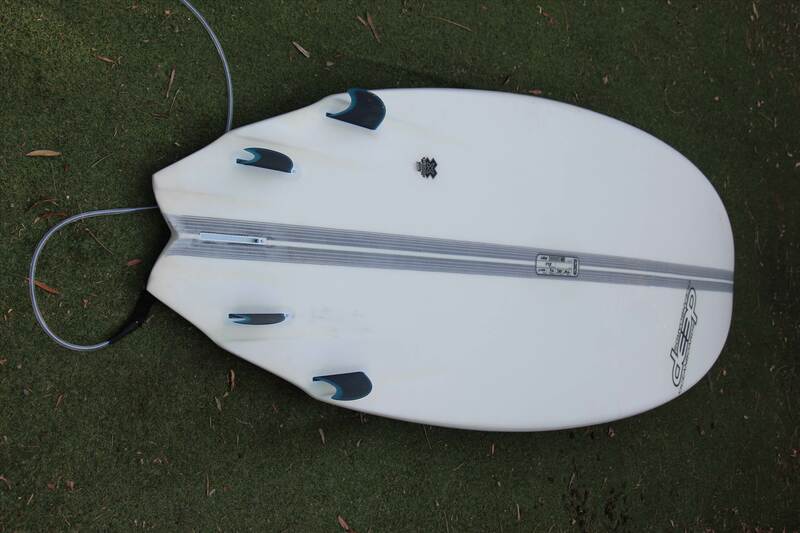 However, if you are brutally honest about your surfing ability and sort of know what you want and most importantly have faith in your shaper and his or her abilities you should get what your after from a custom board. Now while I did have a bit of hand in my board design certainly all kudos and thanks must be wholly directed to Simon at DEEP. He was able through his experience, ability and acuity to listen (well in this case read) to what I wanted and to bring it all to life. This is what we all want from our surfer / shaper relationship with the endstate being that each progressive board should get better and better and consequently one would hope, so should your surfing! Nice mate. Love that tail. Those dimensions on that shape, rippin'. Yep, top read Skeee, and mate, the new stick is off its noggin! I'm a massive fan of swallow tails and channels. Cripes - its like readin one of me old man's SW mags from 1974. Nice stick skeee, very innovative. I have to second your recommendation for Simon I started chatting to him this time 2 years ago about a big boy custom, great bloke to deal with got a custom off him with plenty of his advice. Damn Skeeee, that board looks so sick!, time to email simon. Need to get one!! Mrs is going to be spewing, oh well!!! She'll get over it!!! Awesome. Like channels. Had some Hamish six-clinker short boards in my youth. And soft channels in my SMIK Short Mac. Out of curiosity- how do you find the stability in terms of yaw and pitch? 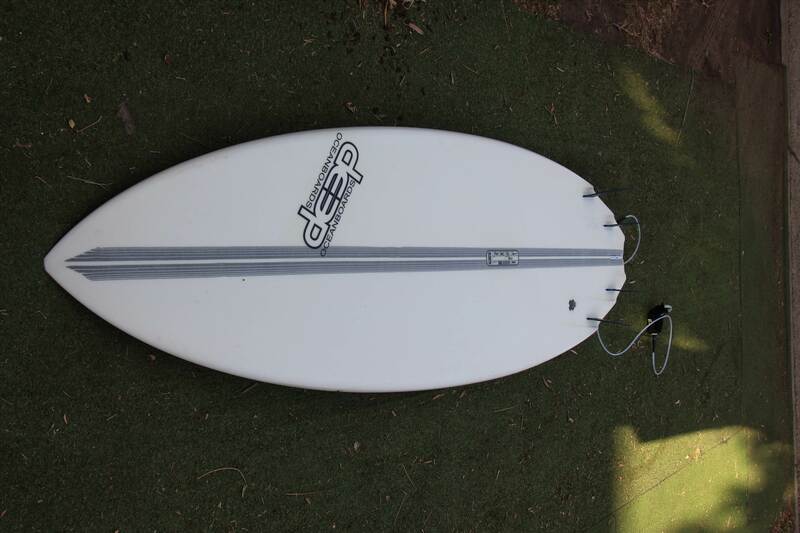 I used to have a board with a flyer channeled tail, loved the performance but all the reduced volume cut out of the tail made it really prone to not only side to side rock but also front to back as it didn't want to sit flat or linear in the water. What are the bottom contours on yours aside from the channels? No doubt, I must have faith in that board if she would be mine. Nice board Skeeee and I appreciate the detailed write-up. I don't see any other way to transfer information without an in-depth discussion..... Kudos! I have only had 3 custom boards made in my life. 2 shortboards and my original Creek..... all 3 had channels. I am a big fan!